The guys who brought us their debut self titled album, Zone Runners back in October of last year are back with more tunes to spindash. 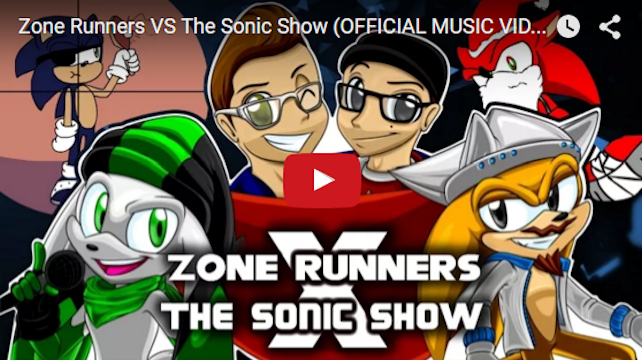 The Zone Runners, a collaboration between OCRemix Alumni DiGi Valentine, Halc and Sir J, have released their second record. It features a collaboration with J-ME.exe, another community artist. This 9 song album continues the story of the titular runners and has remixes of many classic Sonic songs including Emerald Hill, Casino Night and Oil Ocean. It’s also available as a bundle with their previous album and single on https://loudr.fm/release/triple-troublemakers/GyEpm. Spread the good word of good music! Note: Some of this music is slightly NSFW due to energetic language.